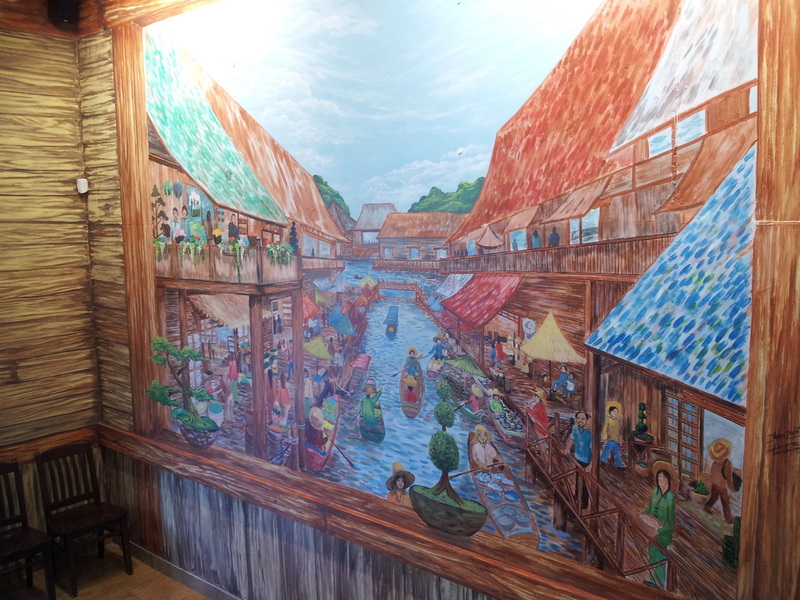 wall mural at Le Pho Vietnamese restaurant at 1990 Fort st.
Mural presently in progress. 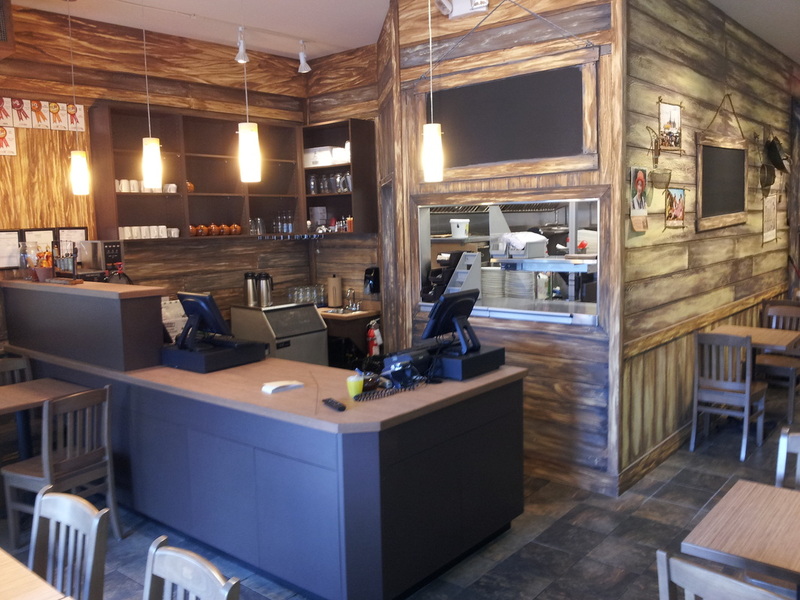 Le Pho restaurant grand opening soon! My tummy is already rumbling in anticipation. Come by and view the progress of the wall mural as every day it is evolving. When driving up island towards the city of Duncan, you will arrive at the CO-OP gas station, which is a couple of miles south of Duncan. To fully appreciate the wall mural, I suggest taking a moment from your trip and make a pit stop. The images below show you the West shore Liquor Planet wall mural progress from start to finish. Amongst some of the main challenges presented during the painting of the mural were (1)being able to hide the existing pipes on the wall, (2)eliminating most of the horizontal lines from the top of the lower walls meeting the waterfall flowing to the aquarium and also (3)being able to blend the aquarium into the wall mural. 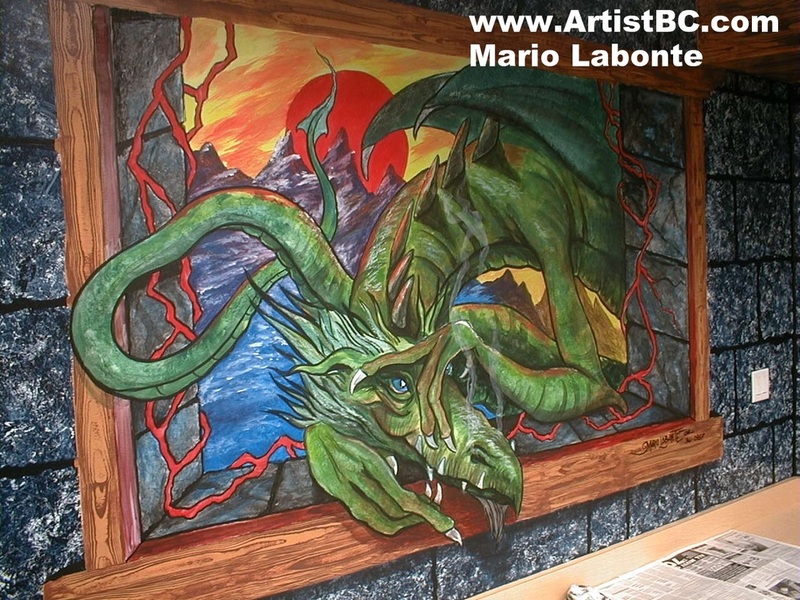 West Shore Liquor Planet mural art by Mario Labonte, Wall Murals and Window Designs, Victoria BC. Murals BC. Painting the Victoria Conference Center mural was a fantastic experience for me. I love how the mural progressed and really came to life and spiced up the parkade area which it now lives at. 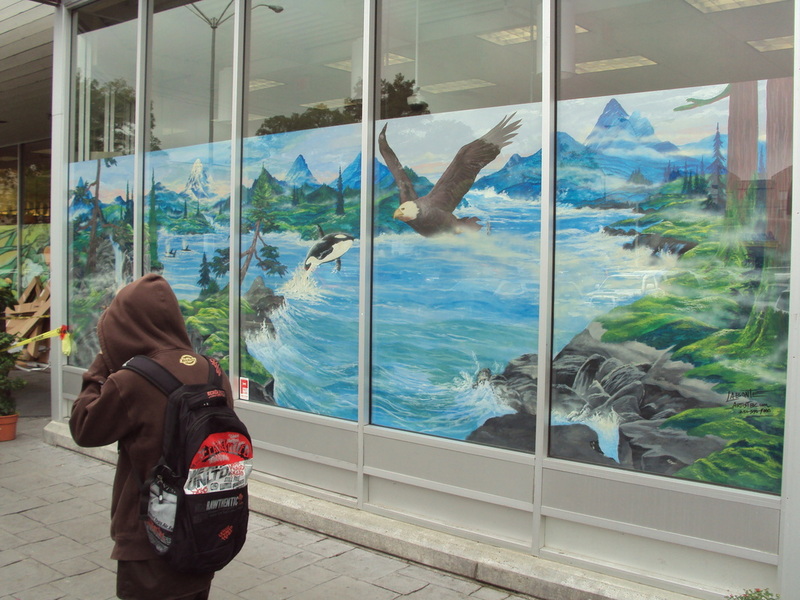 The mural can be viewed in the parkade located between the Empress hotel and the Conference Center off of Douglas street downtown Victoria. Victoria Conference Center mural art by Mario Labonte, Wall Murals and Window Designs, Victoria BC. Murals BC. The Noodle Cart mural was quite the undertaking...Virtually every square inch of the Thai restaurant has been hand painted. What began as being commissioned to paint murals on three walls, turned into the owner wanting me to paint the entire place. Noodle Cart Thai restaurant mural art by Mario Labonte, Wall Murals and Window Designs, Victoria BC. Murals BC. Esquimalt Municipal Library mural art by Mario Labonte, Wall Murals and Window Designs, Victoria BC. Murals BC. Fairway Market (Quadra St.) mural art by Mario Labonte, Wall Murals and Window Designs, Victoria BC. Murals BC.